It’s St. George Marathon Time! OK, all you St. George Marathon runners, here is your opportunity to participate in or watch the marathon minutes away from your own home. The first Saturday of every October, marathon participants from all over the world line up for The St. George marathon. It is currently one of the largest in the United States, hosting up to 7,400 registrants, who are selected through a random lottery to participate. The St. George Marathon is one of the most visually amazing races ever. The St. George Marathon was voted “Most organized marathon” by Runners World Magazine in Jan. 2010. The St. George Marathon also been recognized by Runner’s World as 1 of 4 that is worth building your vacation around. Buy a home in the Southern Utah Area and get an up close and personal feel for the St. George marathon atmosphere. 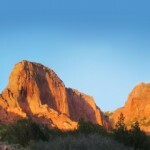 St. George real estate is world-famous for the Huntsman Senior Games and the St. George Marathon. Locals call it “The San Diego of the Rockies”. People from Northern Utah call it the place they want to live. It offers sunny days, affordable homes, low property taxes, low utility cost, world-class medical services, hiking, biking, fishing, boating, snow skiing, pickle ball, tennis, horse shoes, shopping, and much, much more. Southern Utah homes offer some of the most amazing views and life conveniences including walking and biking trails throughout the community. Affordable new homes starting around $125,000 provide an opportunity for individuals to have a turnkey, no maintenance getaway opportunity. We are only 2 hours to Las Vegas’ shopping, shows, gambling, and an international airport. Southern Utah’s weather is amazing. Telling your friends and family they can stay at your home in St. George when coming for the St. George Marathon will be great! Check it out….. You’ll be glad you did!